At the MG Live event, it was nice to see a display of some Chinese made MG's, including the new MG 6 Trophy Edition with prominent " MG 6 on Silverstone Circuit" decals. MG, that stands for Morris Garages, is a British automobile company. 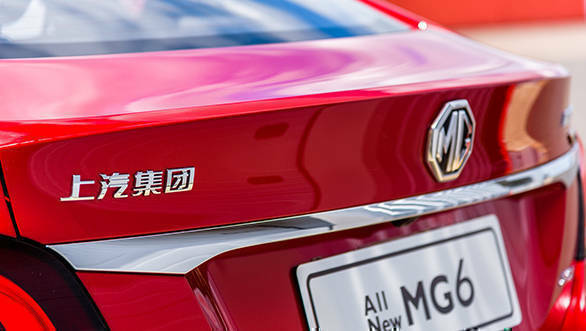 As many may know, MG Motor India, the completely owned subsidiary of SAIC Motor Corporation Limited China, is in the process of starting production. Their first product, a SUV supposedly made specifically for India and possibly powered by Fiat engines, is scheduled to hit our roads in 2019 and will be produced at what was GM's Halol plant, which MG Motor India has now acquired. 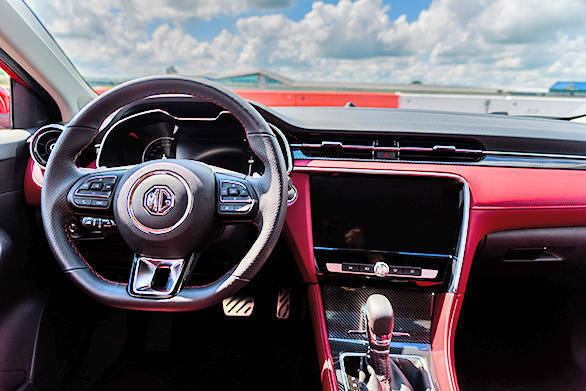 Given this, we just had to drive the new MG 6, even if it was very briefly and on a closed off part of the Silverstone complex. Gaze at the MG 6 and it comes across as a nicely styled and fairly fine looking car with balanced proportions. But, look closer, and you can see a 'masala mixture' kind of approach to the design. It's got bits of a Mazda and Mercedes-Benz in it and from some angles one may also see some ingredients from Jaguars, Infiniti's, etc. In my opinion, the sooner they go for an original design and get an individual identity for new MG's, the better it will be for them. The MG 6 is based on the platform of another SAIC model, the Roewe i6. 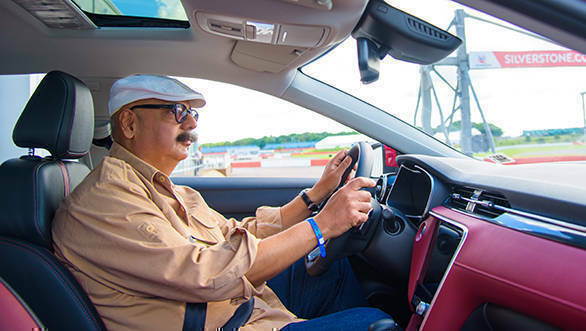 The version we drove was powered by a 1.5 petrol turbo engine making 169 PS and 250 Nm of torque and it's mated to a 7 speed DCT (dual-clutch transmission) automatic gearbox sending power to the front wheels. In our extremely short drive, while the MG 6 overall felt kind of alright, I found the power delivery is less smooth and linear than expected and the engine is not very refined either. The steering is somewhat over assisted and does not provide enough feel making one wish it had a better connect with the front wheels. The car we drove appeared to have a lower than standard spec suspension setup for Silverstone, with the ride quality being on the harder side and not as compliant as desired. The bright red and black interior is reasonably well put together, but a little too loud for me. 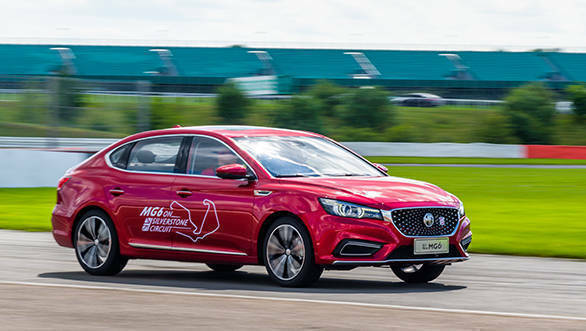 I am told in China, the new MG 6 comes with internet connectivity, voice controls and many such advanced connectivity features, which I am sure, will also be appreciated in India. But, driving a car that carries the distinguished MG badge with Chinese monograms alongside it, that too in Britain, is something I still have to wrap my mind around. But it's a reality, and something MG enthusiasts and purists will have to live with.